We’ve all seen and heard about the lavender fields popping up all over UK rivalling those of Provence, but have you heard of confetti flower fields?! 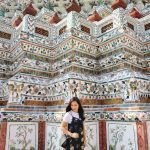 It has always been a personal mission of mine to hunt down and explore the different flower fields of the world. I mean, who can resist the sight of pretty blooms against blue skies? 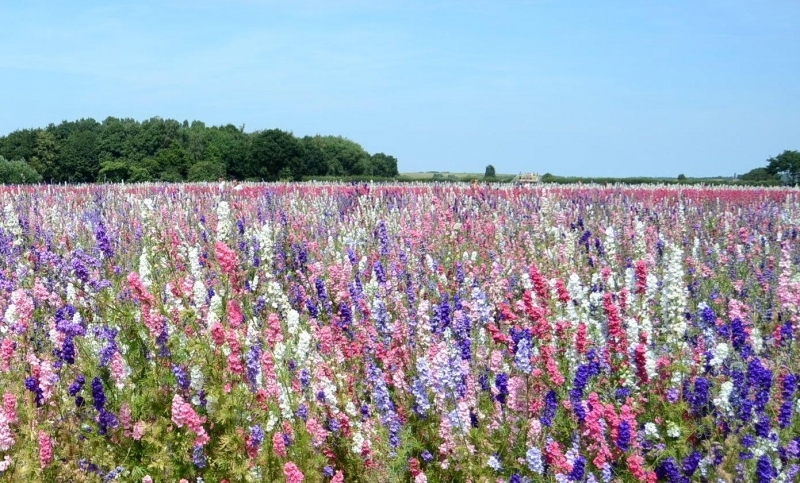 So, when I chanced upon this gem while researching flower fields to visit in the UK, I knew I couldn’t miss it! 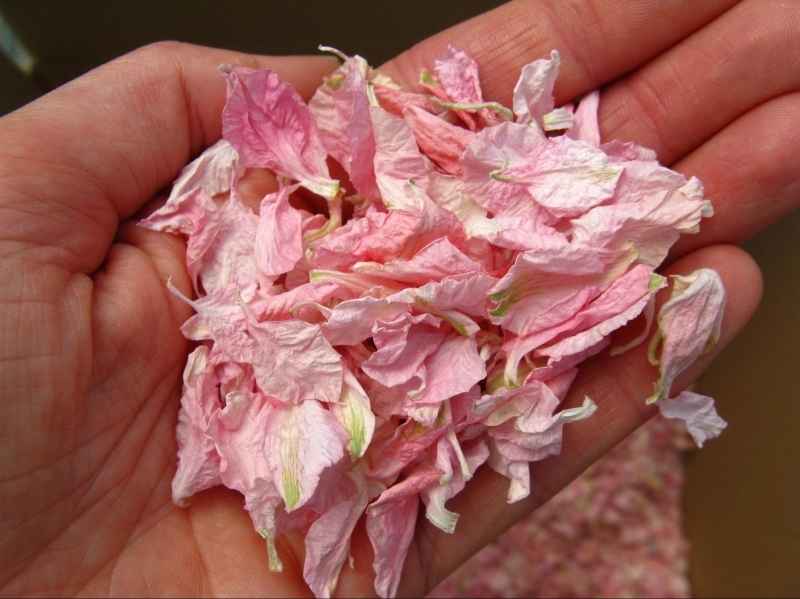 Every summer, The Real Flower Petal Confetti Company in Worcester opens up their farm to the public for 10 days to share its beauty before the flowers are harvested and turned into confetti. For a small fee, you can feast your eyes on the delightful array of flowers in myriad shades in full bloom. 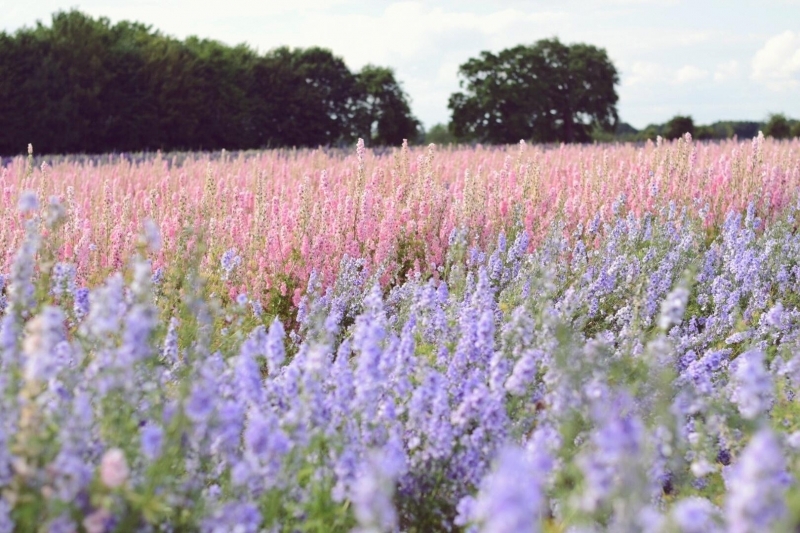 The field contains a dreamy mix of delphiniums, cornflowers, lavenders and other flowers that carpet their vast estate. At the time, I was living in Northern England and it would take a good 5-hour drive to get to The Real Flower Confetti Company, located in the West Midlands in UK. Nevertheless, I gathered around my best buds, rented a car and set off for our road trip! Upon arrival, our eyes were greeted by a sea of pink, purple and white. Every one of us in the car squealed in excitement and we could not wait to get out and run through the field to have our ‘Sound of Music’ moment. At the gate, we were warmly received by the staff (who even gave us complimentary postcards after hearing how far we came!) and purchased our tickets. Apart from us, there were only 3-4 other groups roaming amongst the fields of flowers. This was great because the natural serenity of the field was preserved, and we did not have to jostle with crowds. Expect to spend about 2 hours here to stroll leisurely along the pathways and take lots of pictures! Occasionally, you may see some of the flower pickers in the field whom you can chat with to learn more about what they do (but don’t forget to ask for permission before you take pictures of them!). There is also a viewing platform that you can go up to appreciate an aerial view of the field. 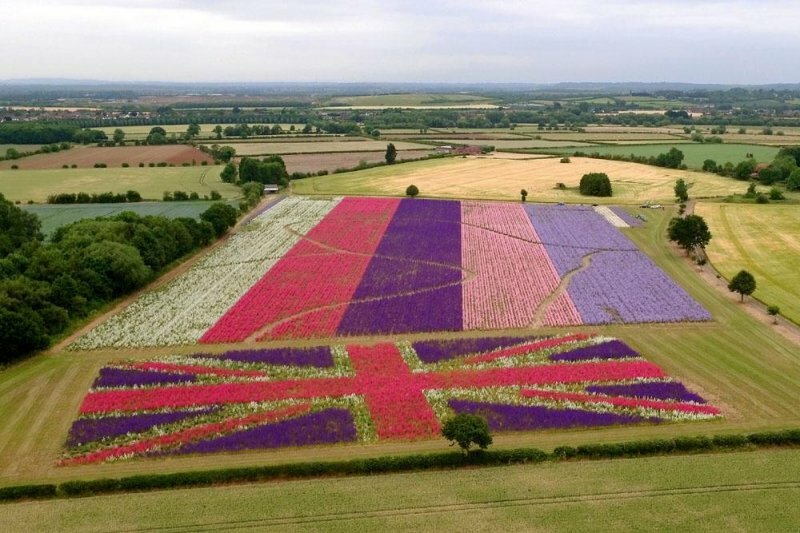 The landscape may differ year to year but during my visit, they had a plot of flowers assembled in the colours of Union Jack! If you like, you may even purchase some of the flowers in the shop to bring home. Needless to say, the idyllic ambience of the field was a great respite from the hustle and bustle of the cities. Despite the long drive home ahead of us, we all left the field with full hearts! 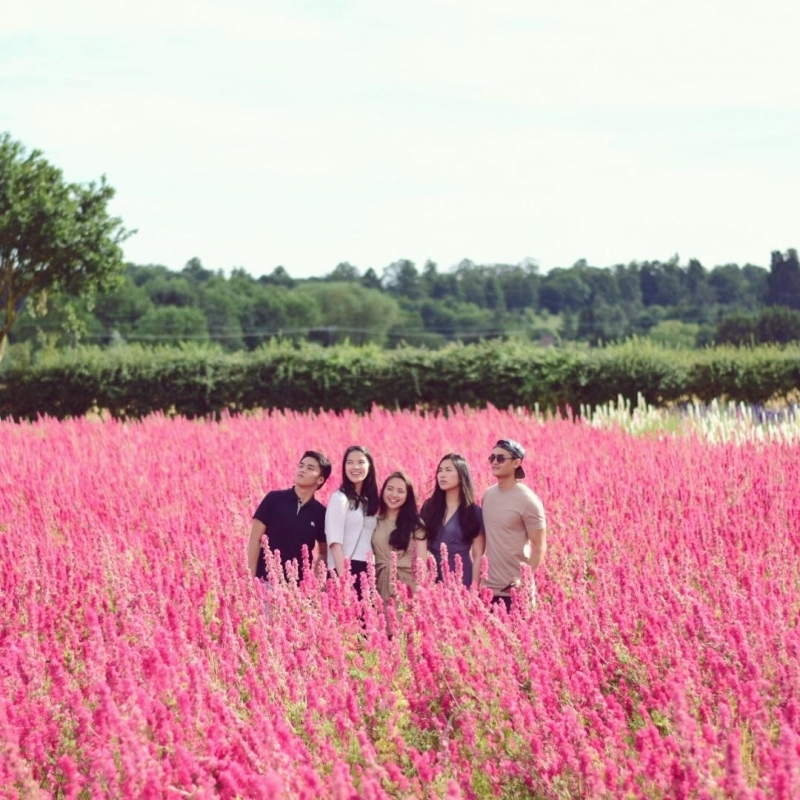 This year, the fields will be open from 28 June to 7 July, so if you love flower fields, and are looking for a unique photoshoot location or planning a day trip away from London, this is the perfect destination! Tickets are purchased on the spot when you arrive, they are not sold in advance or online. As it is right smack in the middle of summer and there is little or no shade on the farm, it can get quite hot on sunny days so don’t forget your hat, sunscreen and bring plenty of water to keep hydrated! Pack lunch and snacks for a little picnic but if you did not, there is also a pop-up café selling drinks and light bites such as cakes and ice cream. Please remember to respect the flowers by sticking to the dirt paths and do not step on the flowers, pick the flowers or litter! The confetti field is located in the village of Wick, Worcestershire. This would be your best option of getting to the farm, especially when travelling in groups you can easily rent a car for a day and split the costs. 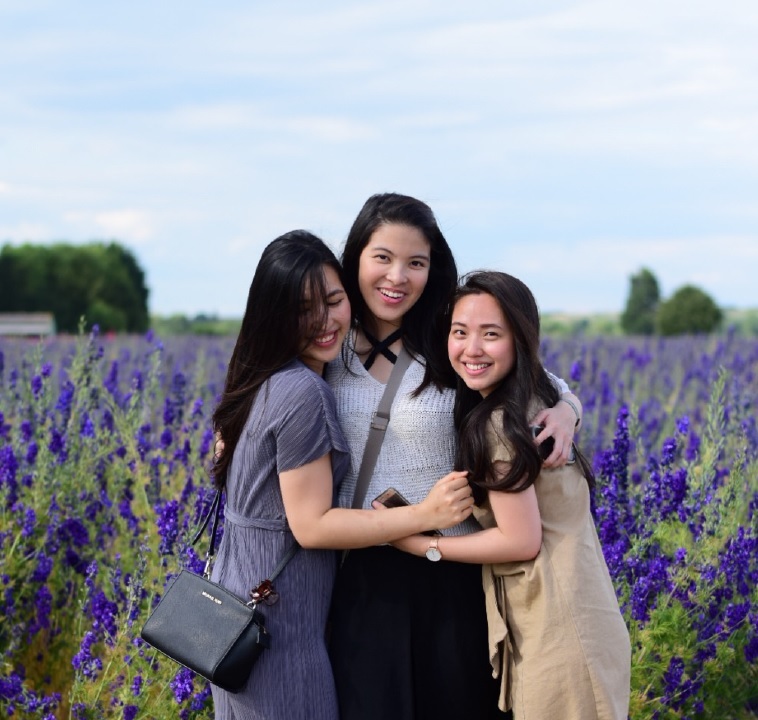 The field is about a 2 hour drive from London and you can even stop by to explore Oxford on the way for a wholesome road trip! Google maps will get you accurately to the village of Wick. Following that, there will be signs along the way to direct you to the field. From London, you can take the train to Pershore station and take a taxi thereafter. It is recommended to pre-book a taxi to bring you to the field and for the return journey as well as taxis are not usually readily available there.